If you are one of those people, then good for you! No one aspires to be an “interesting case” for their dentist. 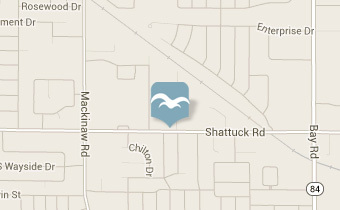 Rest assured that this Saginaw dentist loves all kinds of patients…interesting or boring. So what’s the difference between a “boring” patient and an “interesting” patient? Can patients that have had a lot of dental needs learn something from those that haven’t? Probably. Let’s look a little closer. In general, the “boring” patient has reduced risk factors compared to those who need a lot of work. These risk factors can include hereditary factors, dietary factors, anatomic factors and personal habits. There isn’t necessarily a single reason that will make or break you for risk of dental problems. It’s almost always a combination. 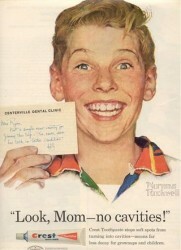 You almost always get your oral bacteria (mouth bugs) from your mom. 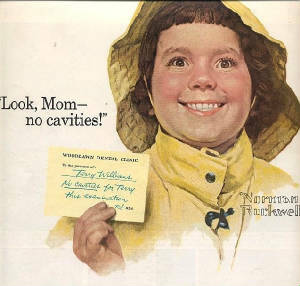 Or whoever your primary caregiver was at the time you first had teeth. If they suffered from a lot of cavities and gum disease, you probably inherited some pretty tough mouth bugs. The grooves on your back teeth (and some front teeth) can be deep or shallow. This is determined by genes. People with deeper grooves are at much greater risk to develop groove cavities. If you have reduced saliva flow, you’re much more likely to have dental problems. Reduced saliva flow can come from age (older folks seem to have reduced saliva flow), some illnesses and particularly from certain medications. There could be some genetic factors involved with your natural level of saliva flow, too. If you grind your teeth, you’re much more likely to have dental problems. Most tooth grinding takes place while you sleep and is not under your voluntary control. Most everyone has some amount of night time grinding but actual tooth damage depends on how hard and how often you grind your teeth. Your level of stress, size of your jaw and chewing muscles could have a lot to do with this. Your diet can have a lot to do with how much dental trouble you experience. If you eat a lot of sugary foods or drink a lot of sugary beverages (pop and juice come to mind) the mouth bugs that you have can turn that into acid, which can cause cavities. If you eat a lot of acidic foods (citrus or pop, for instance) this can cause the enamel on teeth to dissolve! Some cultures eat food with a lot of abrasive materials in them (Central/South American and Middle Eastern cultures come to mind) which can also cause tooth troubles. I’m definitely not taking anything away from those who work hard at taking care of their teeth! If you brush correctly and often, you’re much less likely to have cavities. If you’re a regular flosser (and not just the day before your cleaning!) it’s going to show up in healthy gums and less cavities. How well you take care of your teeth definitely matters! The good news is, we have control over at least a few of these factors. You can’t really control where you get your mouth bugs, but there are things we can do to change them. You can’t control if you have deep grooves on your back teeth, but closing them up early and aggresively can reduce the troubles you experience. Even though we can’t really prevent tooth grinding, we can make an appliance to keep the damage to your teeth at a minimum. Diet and how you take care of your teeth is 100% under your control! So to the boring dental patient I say “kudos to you!” The rest of us aspire to be like you and you help us understand what we can do to reduce our own dental problems! But does that mean that you don’t really need to come to the dentist? Ummmm. No. Sorry about that. In the next entry I’m going to explain why you still need to come to the see us even though you have perfect teeth with no cavities.